There are clear things which can be done to improve your telesales skills and create a positive impact on your results which makes selling over the phone a great thing. Purchasing and reading books which have been written on how to improve phone skills is one of the simplest, most economical and effective ways to improve your knowledge and skills. The good news is there are numerous amounts of people which done the same thing and have discovered some of the things that you can focus on improving and have placed this knowledge into books which you can read and learn from. Attempting to do it on your own and reinventing the wheel are not recommended. Use the valuable information in sales books from others that have been in the same situations and mastered it. Do be careful as there are many different sales books available. Some books are better than others. Most sales books provide you with a few key points which you can adapt and incorporate to see a positive impact on your phone skills. Attending a formal sales training is another step to develop telesales skills. A structured format in which knowledge is transferred to you in many different forms is formal sales training. Some examples are free or low cost webinars as well as formal in-person sales training seminars and workshops. The in-person training will typically have a bigger impact on your development versus the virtual training options. With that said, webinars and web-based training can be less expensive and less intrusive from a time commitment standpoint. Typically, when working a telesales job position, you will have other people working around you doing the same job. Watching others around you is one way to learn and develop your phone skills. Most likely there are people that are doing well as well as others which aren’t doing as well. Learning what to do from those performing well and what not to do from those which aren’t is something to take from watching and learning from both. 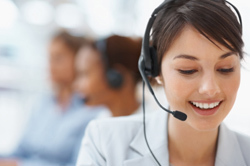 Working with a sales coach is a way to improve your telesales skills. A sales coach would be someone you work with on a one-on-one basis and help you in developing and moving up to the next level. Some examples would be a manager or mentor at your company or an external sales coach which does coaching as a profession. Finding someone to sales role-play with can be a very powerful exercise to help you to develop telesales skills regardless if you’re working with a coach or not. Role-play is practicing various sales situations with someone else. Reflecting back after different calls while working to determine what just happened is a powerful habit to adopt. Do this to think about how things went, what went well and how it could have gone better? Pinpoint which objections the prospect may have had and how your responses impacted the call which will greatly improve your phone skills. 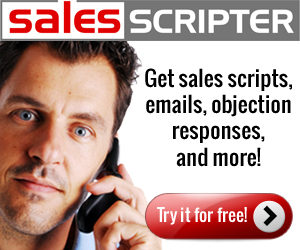 SalesScripter provides a sales script tool to help sales pros to develop telesales skills.